Can you commit to a full-time, mid-level sales position guiding businesses through the selection of high-capacity and fiber-based networking services? 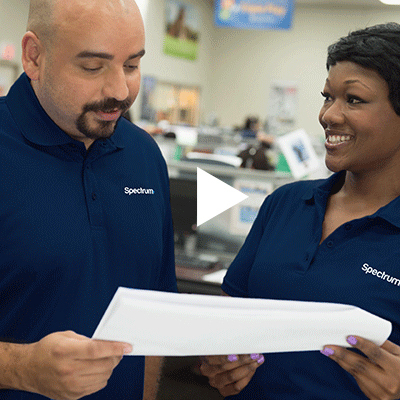 Spectrum Enterprise is a national provider of fiber-based technology solutions that believes connectivity is fundamental to the progress of every organization. We are committed to helping our clients achieve their business goals by providing the digital infrastructure that enables them to outperform. Our portfolio includes fiber Internet, Voice, Video, TV and Cloud Infrastructure solutions as well as network and managed services. For more information visit enterprise.spectrum.com. You are continuously driven to exceed expectations through client-centric solutions. You focus on consultative selling and outlining the ways our solutions simplify efforts and improve efficiency for local enterprise organizations. You are passionate about proactively upselling services to existing clients, renewing and retaining clients and earning back former clients. Over the years you have developed a keen sense that overcomes roadblocks and resistance to increase business while enhancing the client experience. Through your expertise and understanding of the client’s current and future needs, you outline uniquely beneficial combinations of our voice, data, cloud and video solutions. Traveling extensively to manage your business accounts and recapture clients within a specified footprint is something you feel comfortable with. You report directly to Sales Management for goals, guidance and assistance. Be an impactful member of the sales team through the achievement of monthly sales and revenue goals. Consult with former clients to cultivate new opportunities and develop tailored product solutions highlighting product benefits. Develop long-term client relationships to support renewals and upsell opportunities. Drive the sales process by coordinating face-to-face meetings to pursue potential sales. Build an expansive network through persuasive sales calls, company visits, industry events and peers. Entice clients by designing and delivering informative and lucrative product proposals and presentations. Maintain an accurate client database to generate sales activity reports. Exceed quality service and encourage retention through coordinated efforts with the Account Executive, Sales Engineering, Sales Support and Marketing teams.